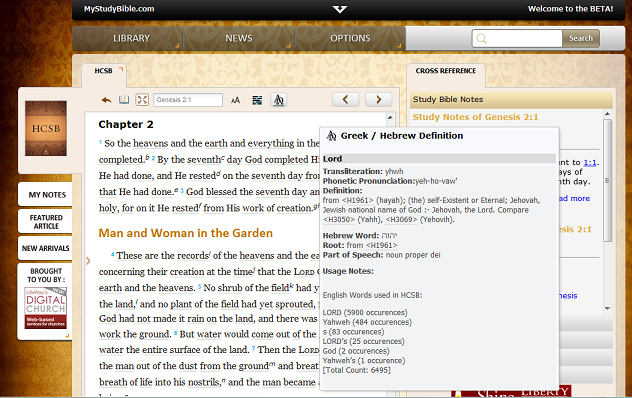 Thanks for the insight into the HCSB translation of God’s name. I have used the HCSB since it came out and have been pleased to see the changes you mentioned in the latest revision. I wish more bibles would use our Lord’s true name. But the publishers are afraid to lose readership and when it comes down to it money is the reason most versions exist. I also use YHSVH when talking about our Savior. I had also emailed HCSB regarding inconsistency in translating Yahweh, and got a similar response. It seems like they don want to be insensitive to people but its ok to be insensitive to God? YAHWEH is the name of GOD in Hebrew…if we use Hebrew then all the contents shall be Hebrew and it maybe a conflict with the name of his son Jesus which is in Hebrew is Yehoshua or Yeshua?can we be consistent in our Translation? 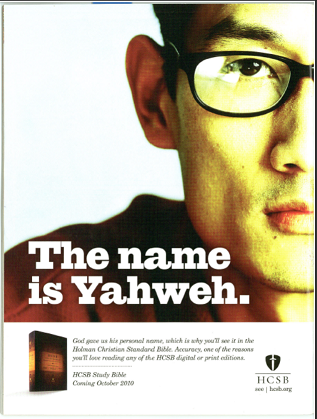 There is Bibles published today that refuse to omit His Sacred Name YHWH.I have no problem using versions though because I’m in the habit of reading YHWH to myself or out loud whenever LORD is printed. I truly pray though that His Sacred Name will be restored so, all who worship Him will bless His Name. In doing so they will bless themselves. HALLELUYAH! In most translations, if one reads this scripture and wants to call The Lord’s Name, then they will not be able to do so because they do not know His Name. Now the reader can be saved, for he can call on the Name above all names.